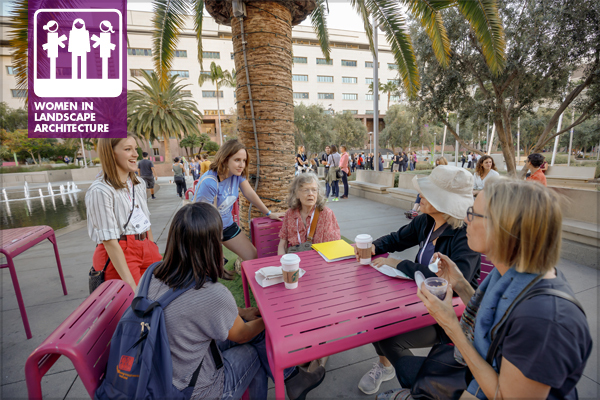 The 2018 ASLA Annual Meeting and EXPO was a landmark meeting for the Women in Landscape Architecture Professional Practice Network (WILA PPN). Not only did our PPN host two well-attended events as part of the conference, we were also pleased to see women in our profession more equally represented amongst education session panels. 20 WILA PPN members spoke, moderated sessions, and led field sessions on a wide variety of topics over the course of the meeting. The PPN’s Women in Leadership Roundtable took place on the PPN Live stage in the EXPO hall on Saturday morning. With more than 90 attendees in the standing-room-only audience, we can safely say that this is one of the best, if not the best, turnouts we have ever had at our PPN Live meeting. Roundtable participants Wendy Miller, FASLA, Vanessa Warren, ASLA, Haley Blakeman, ASLA, and Magdalena Aravena, ASLA, shared their paths to leadership positions and lessons learned along the way. 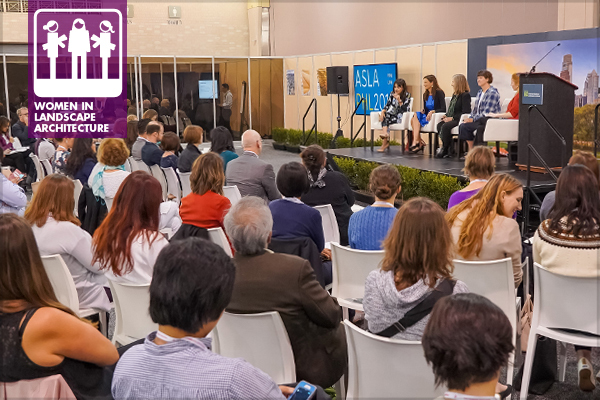 ASLA’s Women in Landscape Architecture Professional Practice Network (WILA PPN) has heard that many of our members are interested in a mentorship program. We are in the process of pulling together resources to help you find a program you can join, or give you inspiration to start your own program. Does Your Chapter Support or Work with a Local Mentorship Program? If you don’t see your chapter’s local mentorship program listed above, please send the link to propractice@asla.org so we can add it to our list. And if you, or someone from your chapter, is interested in writing a short description of the program, please let us know. We’d love to hear from members across the country, especially from areas where landscape architects may be few and far between, and finding a mentor may be more of a challenge. Share your landscape architecture mentorship story!